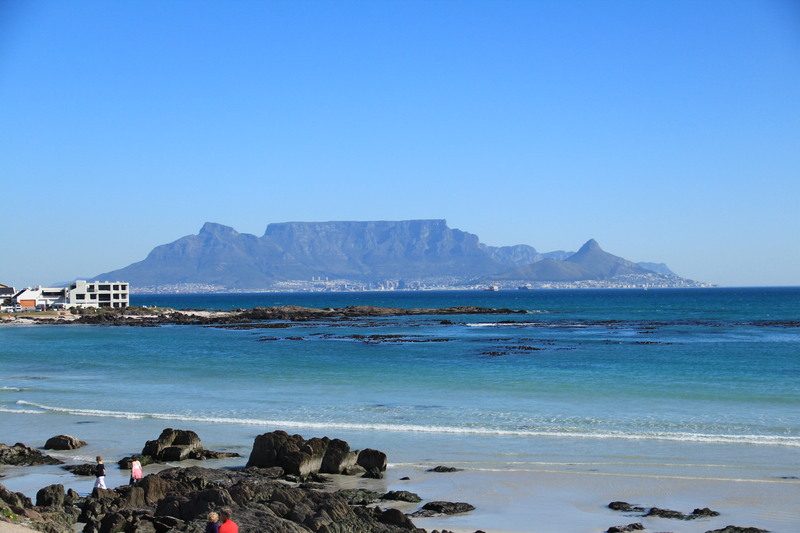 I cannot remember a weekend, which I did not spend in Cape Town. Though Stellenbosch is a wonderful town for everyday life, being convenient, safe and full of lovely restaurants and uni facilities, it gets boring for a big city girl/guy. I love city vibes. Cities are my thing. Though my dream is to one day live in a society where all food is grown and consumed locally and free of toxic, I have admit that I so far feel most alive in a big city. Like New York, Hong Kong, London, Cape Town… Helsinki, of course. Another contradiction in my vision…. Where to live, in a cozy laid-back town by the beach and nature or city with great vibes? Oh well, I have time to sort it out and try different places. We’ve been fortunate to stay at friends’ or cousins’ places in CT. After Friday night visit in UCT’s tennis club party, on Saturday morning we headed to Blouberg Strand. Enjoyed a breakfast at Paul’s terrace, dressed our wetsuits and got boards and headed to the ocean. Right now this is my concept of a perfect day. 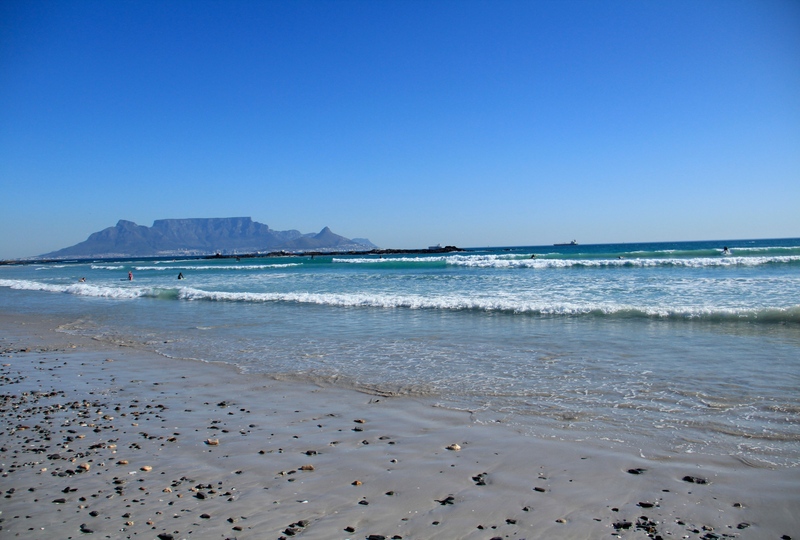 Among the waves, trying to catch one and learn to surf, next to the breathtaking view of Table Mountain. Later that night we headed for dinner to Black Sheep. Strong recommendation! I will take all my visitors here later that is for sure. Such New York vibes and oh my heaven the food. The decision was perhaps toughest so far, but luckily I nailed it with my ostrich. I’ve never been a huge meat eater earlier, but here I would never try to resist it. Most of the meet we get here is simply so tasty. Ostrich, beef, kudu, lamb, wildebeest springbok… You name it, I’ll try it. Pam also claims the chocolate brownie to be the best in town, despite the tough competition 😀 After dinner, we headed to Tjing Tjing, a great cocktail bar and another spot where I’ll take visitors. Followed by a visit to Village Idiot, which seems to be my usual Saturday spot these days. On Sunday we could feel the drinks from last night and the day proceeded accordingly. 😀 Waking up late at Newlands, driving around the suburbs to find something to eat, ended up for burgers. Back to Pam’s cousins’ place and A & I took a walk to buy ice cream and cake from Melissa’s food shop. The Newlands suburbs are so beautiful. Could imagine living here. We then drove back to Stellenbosch. Chocolate ice cream and huge piece of carrot cake did the magic for me and I felt better again. It really is so good to escape every now and then from where you spend most of your days. After an exciting weekend, you feel energised to start a new week at home.